As a professionally trained Chartered Professional Accountant in Canada, one of the key lessons we were taught during our articling years was that one best-of-breed system to perform all back office functions was preferable to having multiple systems do the same. I call this the “one system” bias and it can be typically found among all who work in finance. This bias stems all the way back from the 70’s and 80’s, when decision makers had to contemplate multi-million dollar capital purchases as it related to automating processes via software. Furthermore, those systems were built using different code bases and architecture, resulting in information silos. The idea of employing teams of coders and consultants to link these systems was cost prohibitive at that time. ERP vendors, sensing market opportunity, began building suite products with additional modules that would perform all key functions in an organization beyond just accounting. This included supply chain, inventory, procurement, sales orders, HR etc. CFO’s, conservative in nature and concerned about the bottom line, were sold on the idea that it was better to stick to one stable vendor with one product that did many average things rather than find the best product for each important piece. 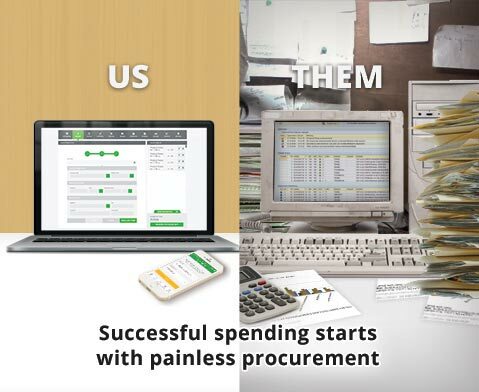 For example, instead of just picking Netsuite and Microsoft Dynamics to perform key core accounting and reporting functions, CFO’s and controllers are typically upsold by these vendors or system integrators and quickly jump on the idea that ERP systems can also handle procurement, inventory and even sales functions like customer relationship management. As a result, all other departments and functions are stuck with the decisions that begin with finance. There are many other considerations and factors that go into these statistics and they’ve been written about extensively for years by various experts. Our take: As vendors try to build the single perfect product that can do everything across all industries and across all conceivable and custom workflows, ERP system implementations increasingly fail and other departments are increasingly not satisfied with the system decisions coming from casino online finance. You will rarely find an operations manager or an IT purchaser who is happy and satisfied in using the ERP tool provided to them by finance or executives for their process. The single biggest threat to successful ERP implementation is lack of buy in from everyone affected by the new system. The good news is we are in the era of cloud and mobile software. In a nutshell, this means we are in an era where new back office cloud solutions, like Procurify, have the architecture and design to directly integrate and talk to many ERP systems rapidly and consistently with fairly minimal effort. Thus employees can use the best tool for their business processes across all devices, with the ease of use of consumer solutions like Facebook, without concern for duplicate data entry and creation of information silos that always seem to hound and concern finance. Even the more modern ERP vendors like Netsuite and accounting software providers like Xero and Intacct have recognized this and are building marketplaces which showcase integrated third party solutions for functions they recognize they are neither good at or don’t provide. At Procurify, many customers come to us with disgruntled views about their ERP systems that fail to make their jobs easier and efficient. It’s time for CFO’s, controllers and financial decision makers to realize and understand that the bias to pick one dream system to do everything no longer makes sense and is actually a danger to you organization in terms of skyrocketing costs and lost time. In today’s world, the possibility exists to take a holistic view and pick a few best systems that all have the capabilities to integrate and talk to each other. So I encourage all my fellow colleagues to have an open mind when it comes to picking software. Pingback: What works best for your company? Strategic Sourcing or Tactical Sourcing?